Purely made authentic essential oil hair treatment. 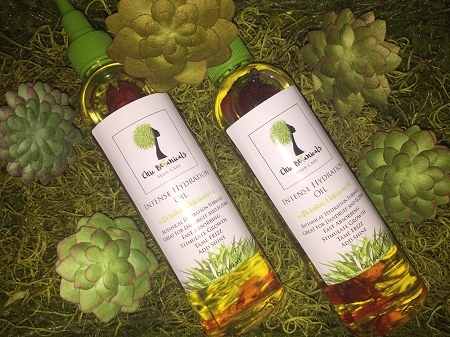 A nourishing and hydrating blend of organic unrefined oils that work together to restore dry and damaged hair. This oil is highly moisturizing. It’s perfect for dyed and chemically treated hair that needs restoration. * Can be used as a hot oil treatment or for everyday use. *This product may contain oils made from nuts. * Oils are handmade and made to order in order to keep all ingredients intact. *During seasons with high temperatures it is best to keep products in refrigerator.